We all know that airplanes are a huge leap in technology when it comes to traveling, importing and exporting, and of course, war. Airplanes allow troops to fly over enemy territory at a distance most guns can’t reach. It allows forces to bomb enemy troops or even just keep surveillance on the enemy. 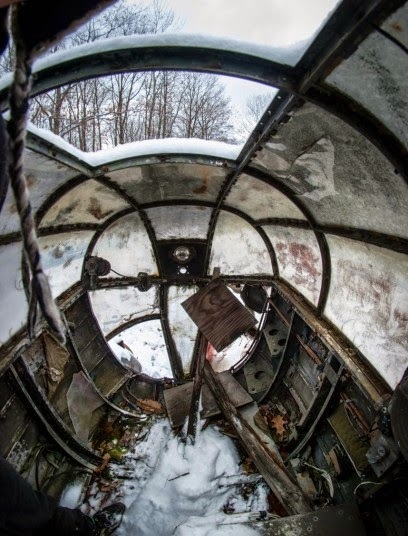 What happens when these war planes have done all that they can do? 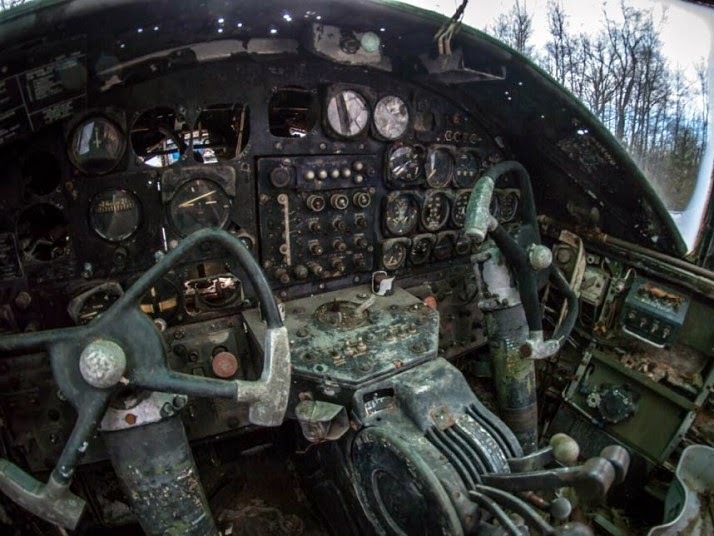 Whether they were shot down, stopped working, or have been replaced by newer and better technology. 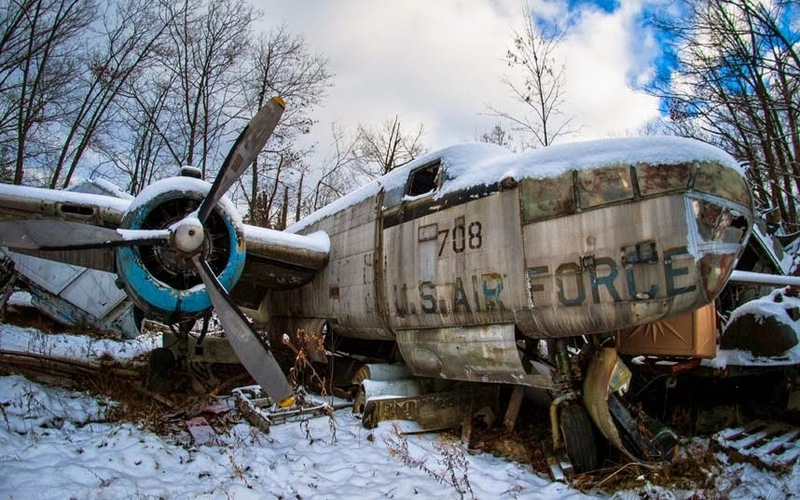 Well here is a look at abandoned war planes at an abandoned airplane graveyard in Ohio. Jonny Joo, who is a 24-year-old photographer, loves visiting abandoned places to do some urban exploration. 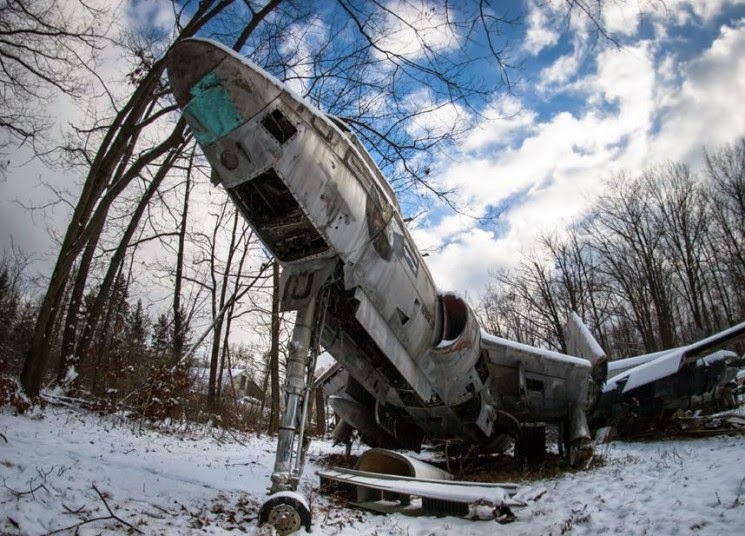 He recently visited this airplane graveyard and documented what he found. 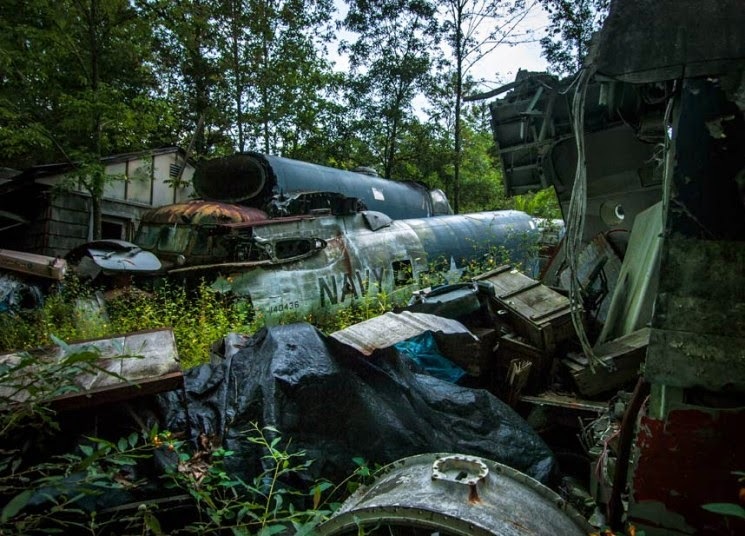 The planes that Jonny Joo found in this abandoned airplane graveyard are all fighter planes from World War II. 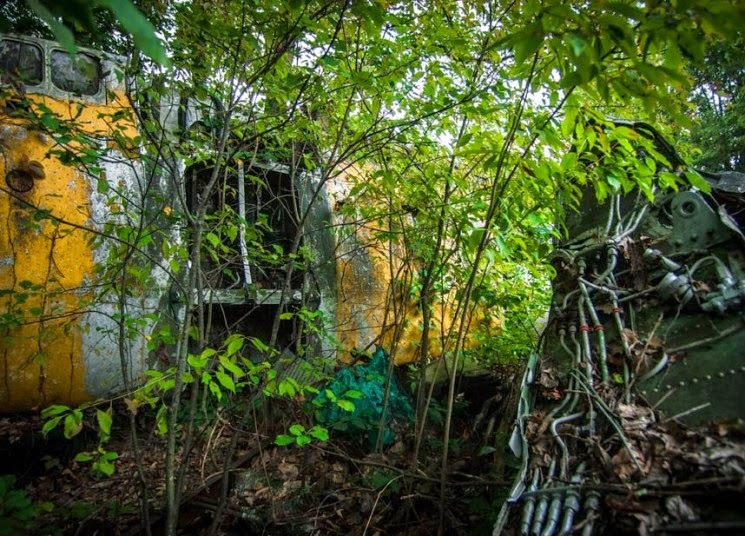 They are surrounded by trees and scrap metal. 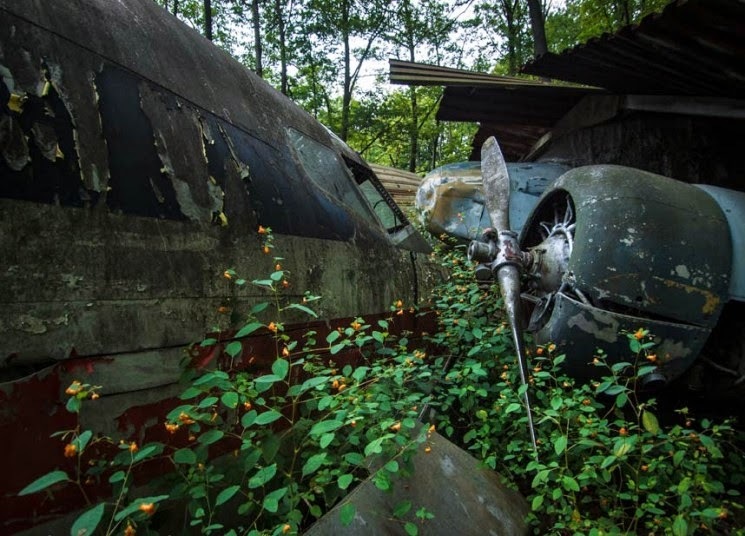 Walter Soplata, who was a scrapyard worker, came into the ownership of the planes and began to reassemble them in his back garden in Newbury, Ohio starting in the late 1940s. After Soplata passed away in 2010, his relatives kept this scrapyard a secret because they didn’t want scrap collectors roaming the property. 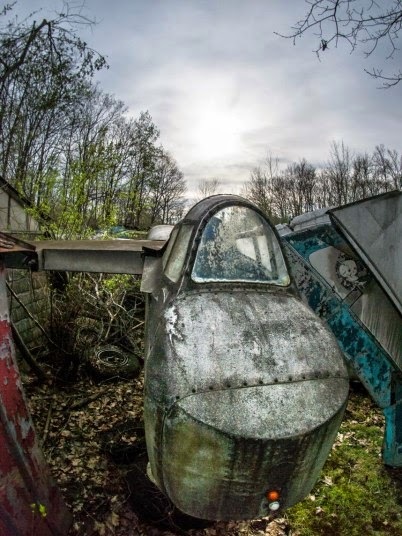 Here is the shell of an F-86D Saber plane. 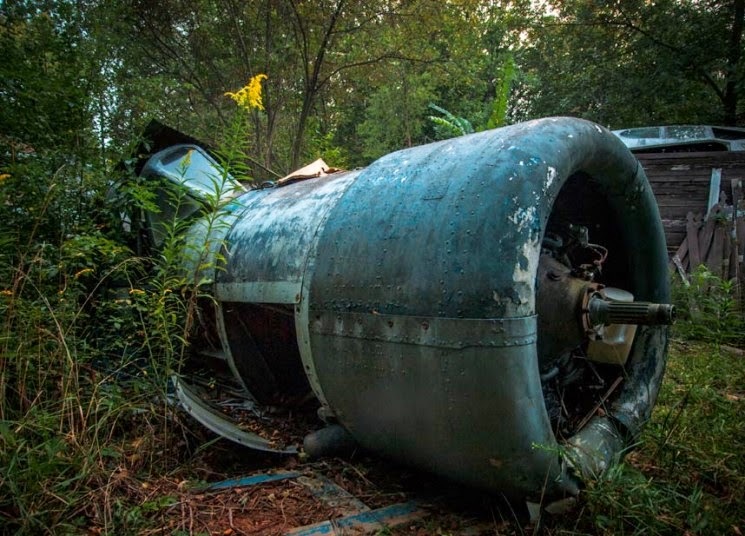 On the property, there are approximately 50 engines and 30 aircrafts taking up space. 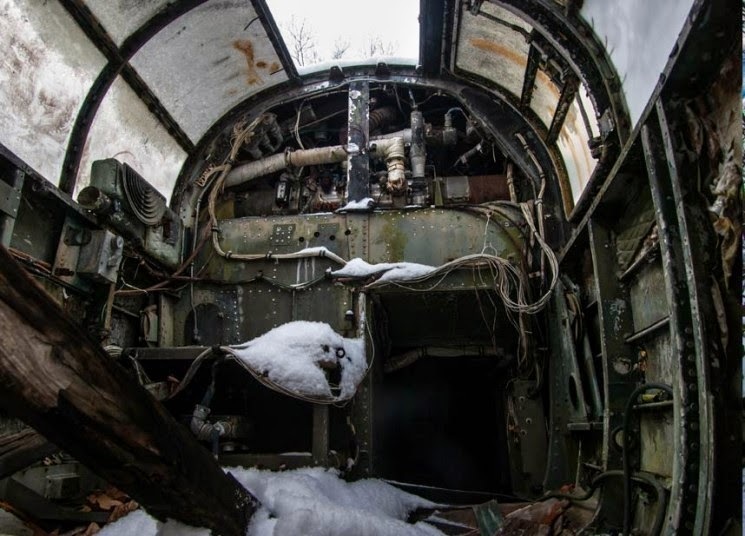 “It is crazy how much history is just sitting there like an outdoor museum. It’s definitely one of the most interesting places I’ve photographed,” said Johnny Joo. 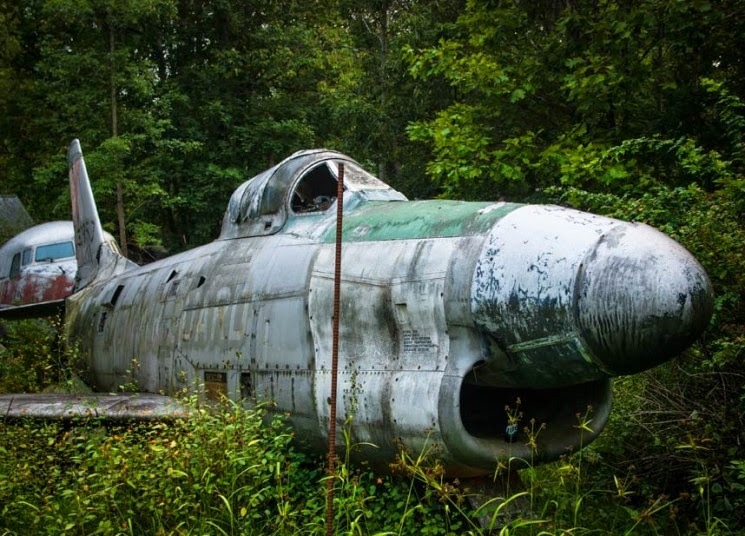 The abandoned graveyard has many planes from World War II as well. “Some of these planes actually bombed places, people could have died in those planes,” Joo said. “There’s so much history throughout the entire place. It’s a little bit creepy when you think about it. If a picture could tell a thousand words, you could write books and books from these,” said Joo. 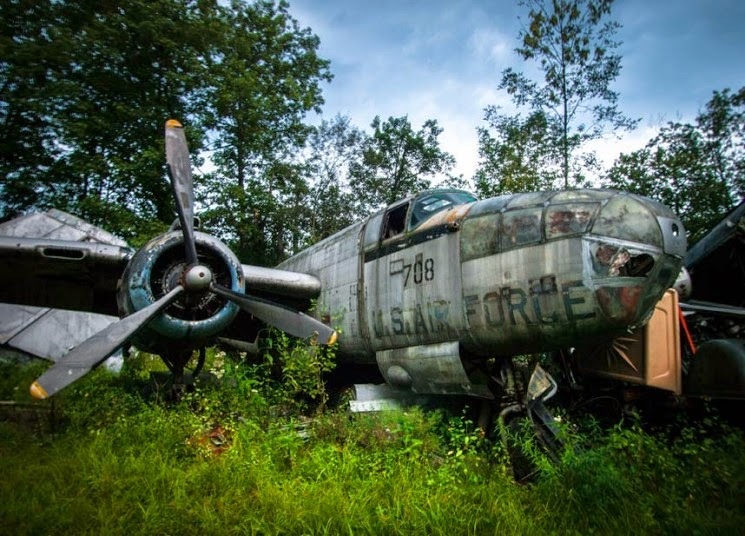 Here you see an old US Air Force B-25 plane. Some of these look like they should be in a museum, not a giant backyard garden completely forgotten about. Here is a great picture of an old Boeing 727. 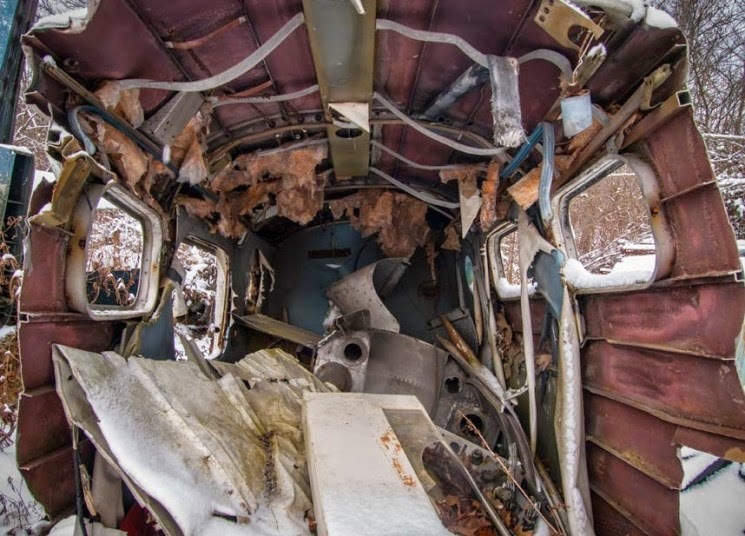 Joo was lucky enough to go inside some of the planes that were structurally sound. 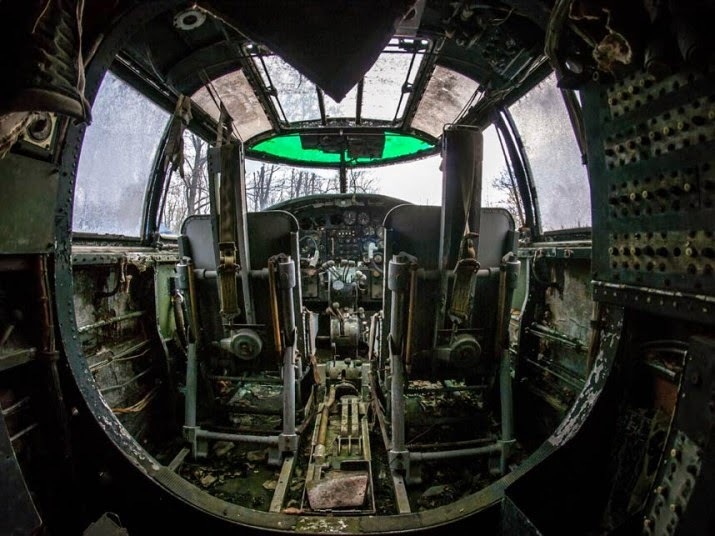 This is the cockpit of a World War II fighter plane. The elements have taken over some of these planes, letting in water and snow. 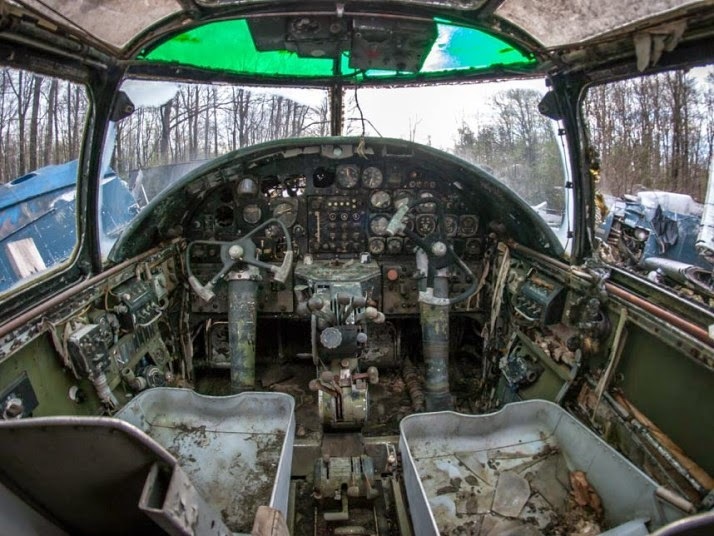 But others are almost in perfect condition, other than being abandoned for the last 60 years or so.